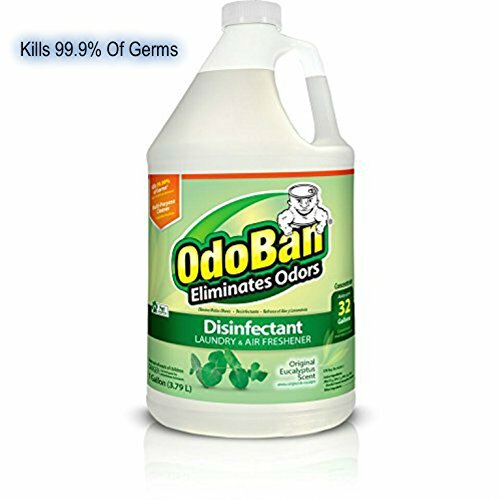 OdoBan Odor Eliminator cleans, disinfects, sanitizes and deodorizes all precleaned hard, nonporous household surfaces. OdoBan eliminates unpleasant odors on washable surfaces such as upholstery, carpets, bedding, showers, walls and floors while leaving a fresh scent. This industrial liquid odor eliminator leaves no residue and has a variety of uses. OdoBan may be used in hospitals, medical and dental offices, nursing homes, day care centers, nurseries, restaurants and bars, cafeterias, institutional facilities, public restrooms, institutions, schools, athletic facilities, camp grounds, play grounds, public facilities, transportation terminals, hotels and motels, factories, business and office buildings, buses, ambulances, trains and taxis. Excellent for fire restoration. If you have any questions about this product by OdoBan, contact us by completing and submitting the form below. If you are looking for a specif part number, please include it with your message.